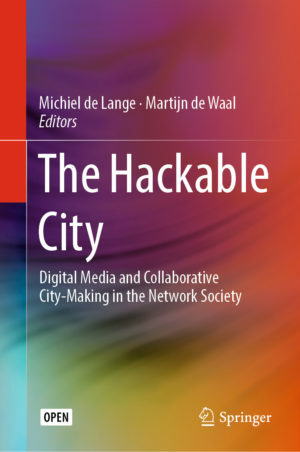 This book presents a selection of the best contribution to the Digital Cities 9 Workshop held in Limerick in 2015 and was edited by Michiel de Lange and Martijn de Waal. It combines a number of the latest academic insights into new collaborative modes of city making that are firmly rooted in empirical findings about the actual practices of citizens, designers and policy makers. Taken together they contribute to a wider debate about practices of technology-enabled collaborative city-making, and the question how city hacking may mature from the tactical level of smart and often playful interventions to a strategic level of enduring impact. Read the whole book here.